Companies involved in feldspar mining are increasingly using low energetic production machines including dust cleaning machines to support the environmental duties and use less energy. Major companies producing low energetic production machines are Hosokawa Alpine, Allgaier, Morgensen, Waishaupt, Metso Minerals etc. According to The Business Research Company’s Consultant, Nitin Gianchandani, the implementation of IoT in mining industry is enhancing decision making capabilities and reduces production costs. IoT enables the sensors to pick up real time data, analyze the data, facilitate equipment communication, identifies faulty equipment and derive insights from the data generated. With fully integrated network, the mining equipment is monitored on real time basis and a report is projected on when the repairs or maintenance is required. 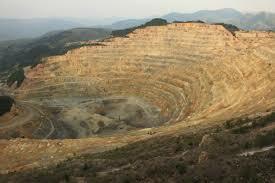 In the near future, IoT is expected to become the standard in mining industry. According to the report published by Deloitte, globally, 69% of the mining companies are looking at remote monitoring and 29% at unmanned drones to improve their operations monitoring and productivity. Imerys was the biggest player in the feldspar mining market, with revenues of $4.4 billion in 2016. Imerys’ strategy aims at ensuring the group results a steady growth while creating long-term value. Innovation, investments and targeted acquisitions contribute to broadening the group’s business portfolio and geographical footprint whilst providing access to new markets. 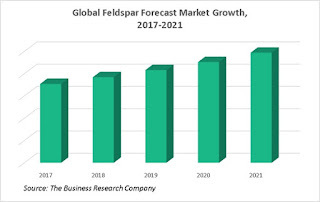 Feldspar Global Market Report 2018 is a detailed report giving a unique insight into this market. The report is priced at $4000 for an individual user. To use across your office, the price is $6000 and $8000 if you wish to use across a multinational company.